“You cannot ‘opt out’ of having a worldview. You can only try to have one that most accords with reality, including the whole realm of facts concerning what is genuinely good. What is true of individuals in this respect is also true of social groups and even whole societies or nations. “One’s worldview need not be recognized as such to have its effects. Much of it lies outside our consciousness in the moment of action, embedded in our body and its social environment, including our history, language, and culture. It radiates throughout our life as background assumptions, in thoughts too deep for words. But any thoughtful observer can discern the essential outlines of what it is. “What we assume to be real and what we assume to be valuable will govern our attitudes and our actions. Period. And usually without thinking. But most people do not recognize that they have a worldview, and usually it is one that is borrowed, in bits and pieces, from the social environment in which we are reared. It may not even be self-consistent. — from Knowing Christ Today: Why We Can Trust Spiritual Knowledge (HarperOne, 2009), 44, 45. 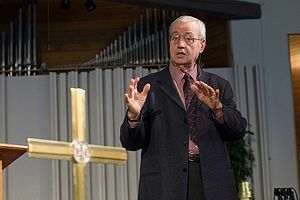 * For numerous resources by Dallas Willard, see his website. The “Join the Club” argument! The “Celebrate Reason” argument! The “Be Nice If You Feel Life It” argument! * Good satire from the Wintery Knight. PhilPapers Philosophy Survey: The survey asked questions on a variety of topics and surveyed over 1800 faculty and PhDs as well as over 800 graduate students. Here are some of the results . . . * Results show what positions these philosophers take on epistemology, free will, mind, and truth. For a limited time, a selection of free articles from Wiley-Blackwell philosophy journals. A large number of journals to choose from. A helpful review of The Cambridge Companion to Christian Philosophical Theology (Charles Taliaferro and Chad Meister, eds. ), at Notre Dame Philosophical Reviews. 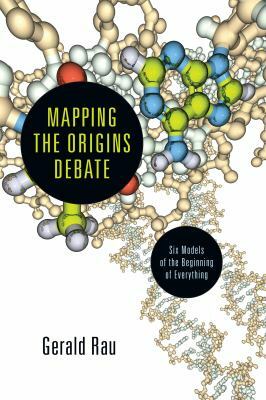 Download a free chapter of Fazale Rana’s The Cell’s Design: How Chemistry Reveals the Creator’s Artistry (Scroll down the page). 2) An overly zealous tendency to focus too much on issues of little importance and to alienate those with which one disagrees on the details of Christian faith. Christ Among the Dragons is a book that on some pages convicted me—for I had, myself, sinned against my Christian brothers and sisters in my denouncing them over certain details of our Faith. On other pages it caused me to nod my head with sadness—for I have been attacked for different opinions on non-central doctrines of Christianity. The book, in all honesty, led me to tears on both accounts, and led me to repentance and to forgiveness. White begins with a chapter discussing the concept of “truthiness”—a divergence from absolute truth that has permeated our era. He then explores the concept of and need for orthodoxy. Orthodoxy, on White’s account, should be confined largely to “Mere Christianity.” White gives the illustration of Richard Baxter, who coined the term. Baxter was called upon to write about the “fundamentals of religion” for the government by Cromwell, and came up with a summary that “could be affirmed by a Papist,” as the complaint from Cromwell went. To this, Baxter replied, “So much the better” (p. 58). Baxter wrote, “Must you know what Sect or Party I am of? I am against all Sects and dividing Parties: but if any will call Mere Christian by the name of a Party . . . I am of that Party which is so against Parties . . . I am a CHRISTIAN, a MERE CHRISTIAN, of no other religion” (58-59). It is this Mere Christianity that White stresses Christians should embrace: an acceptance of the central tenants of Christianity (namely, belief in Christ as Lord and Savior, the Trinity, and the Resurrection), but this not at the expense of jettisoning other beliefs. Instead, we should not let these other beliefs divide and separate us. White then goes on to describe the impact Christianity has had on the world. Then he explores the absolute necessity of Christian witness. Christians should never approach people outside the faith as needing to go to hell; instead, they are in need of witness (95). He finishes this chapter with one of my favorite quotes ever, from the atheist Penn Jillette: “If you believe that there is a heaven and hell and that people could be going to hell. . . . How much do you have to hate somebody to not proselytize?” (100). “Truth be told, we should have enough theological humility to admit that we may all be wrong. 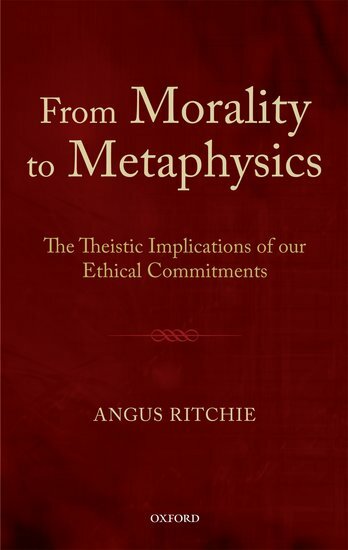 The greater issue is refusing to make our theological viewpoint the test of orthodoxy, the agenda for which we exist and the basis of our community. . . . And our rhetoric isn’t helping” (126). “Perhaps our criterion for deciding which is which [that is, which doctrines are essential and which are matters of liberty] . . . should be as follows. Whenever equally biblical Christians, who are equally anxious to understand the teaching of Scripture and to submit to its authority, reach different conclusions, we should deduce that evidently Scripture is not crystal clear in this matter, and therefore we can afford to give one another liberty” (127-128). “When we condescendingly say that our position is simply the ‘gospel,’ as if it’s not really a debate worth having, then we are being arrogant. When we make our view the litmus test of orthodoxy, or even community, we are being neither gracious nor loving. When we say that our view alone upholds God’s sovereignty or that our perspective is the only one that cares about lost people, we are not being truthful. When we exhibit a haughty smirkiness, or we so state our position that we divide churches, student ministry groups or denominations, then we are sinning” (126-127). Christ Among the Dragons is one of the books I would consider essential reading for the Christian. It is a simple work that is never simplistic. White’s points are clear and relevant. Most importantly, however, I think many Christians will find, as I did, that his words will convict and comfort, his points will hit close to home, and Christ will shine through. I cannot recommend White’s work highly enough. — Reviewed by J. W. Wartick. J. W. writes on philosophy and theology at Always Have a Reason. 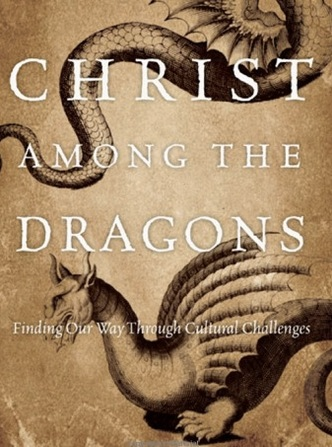 * Thanks to InterVarsity Press for providing a review copy of Christ Among the Dragons. For the fans of Kierkegaard out there . 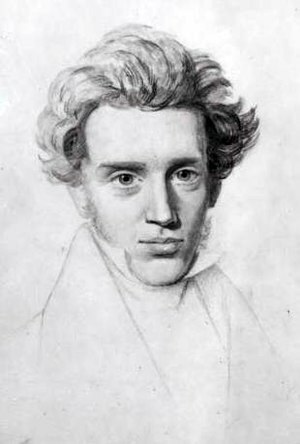 . .
Clare Carlisle is writing a series of posts for the Guardian on Kierkegaard for the next 7-8 weeks, for the How to Believe series in the Comment is Free section of the Guardian’s website. The first post has gone up today and the rest will be up every Monday from now. Clare has published Kierkegaard: A Guide for the Perplexed with us and her new book, a Reader’s Guide to Fear and Trembling, is out June (UK), August (US). Kierkegaard’s world, part 1: What does it mean to exist? 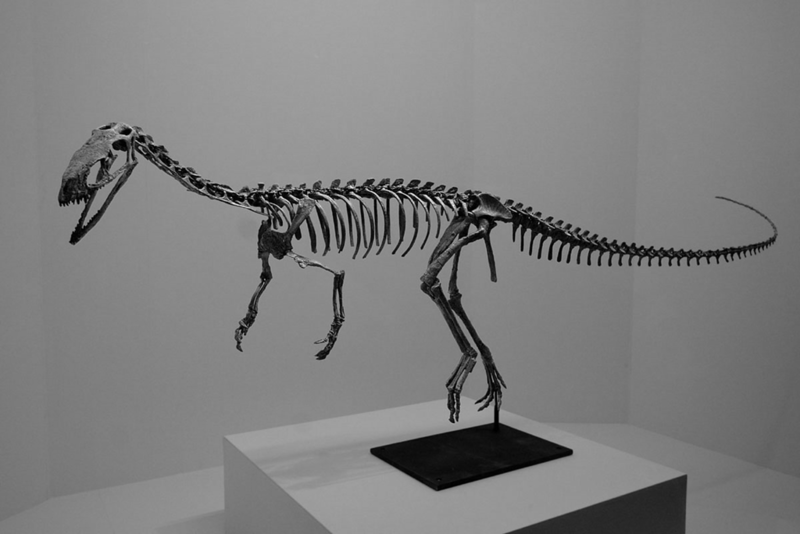 Within metaphysics, there are two competing theories of Laws of Nature. On one account, the Regularity Theory, Laws of Nature are statements of the uniformities or regularities in the world; they are mere descriptions of the way the world is. On the other account, the Necessitarian Theory, Laws of Nature are the “principles” which govern the natural phenomena of the world. That is, the natural world “obeys” the Laws of Nature. This seemingly innocuous difference marks one of the most profound gulfs within contemporary philosophy, and has quite unexpected, and wide-ranging, implications. In the ethical thought of such existentialist writers as Sartre and Heidegger, abandonment is the awareness that there are no external sources of moral authority. No deity, for example, provides us with guidance or direction; we achieve an authentic life by depending only on ourselves. One inevitable consequence of this approach to morality is well described by Aldous Huxley, author of Brave New World. For myself as, no doubt, for most of my contemporaries, the philosophy of meaninglessness was essentially an instrument of liberation. The liberation we desired was simultaneously liberation from a certain political and economic system and liberation from a certain system of morality. We objected to the morality because it interfered with our sexual freedom. Aldous Huxley, Ends and Means: An Inquiry into the Nature of Ideals and into the Methods Employed for Their Realization (New York: Harper & Bros., 1937), 316. It turns out to be convenient in many cases that life has no ultimate meaning: It’s the ideal excuse to fashion a morality that suits one’s individual whims. Objective meaning and purpose can prevent one from doing things one is inclined to do. As a result, such things are ignored, attacked, or reinterpreted. But they never quite go away.